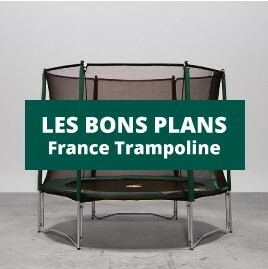 Professional trampolines are used intensively for seasonal or year round activities. After a certain amount of time your trampoline springs can start to stretch leaving you with a less dynamic jumping mat and less attractive equipment. It can therefore be necessary to change a few or all of your springs after several seasons. Our hot-dip galvanizedsteel springs have been treated against corrosion with the best treatment, allowing them to remain outdoors all year round. Wide choice of springs : several sizes are available in different diameters. Custom springsThere are 4 products. Spare spring for Aero professional trampoline. This spring is found in the corner of your trampoline.